Does not include pants or undershirt. Big smiles will spread on all faces once you will wear cute crayon outfit. 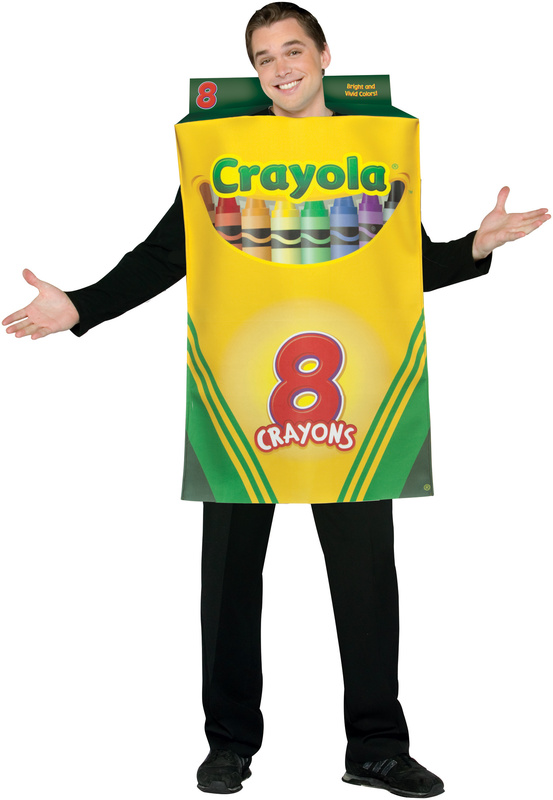 Express your colorful feelings and brighten your day with crayola outfit. Splash colors of fun and excitement with your friends in crayola colorful costumes. We got perfect cuddly costumes for little kids. Baby costume should look adorable and feel super comfortable for whole day. Compliment yourself with a new dramatic look in Crayola Crayon Box Adult costume.